The Standing Stone: Cumber Upper, Holy Well and Bullaun Stone, Co. Offaly. Cumber Upper, Holy Well and Bullaun Stone, Co. Offaly. Location – At the bottom of the S end of Knocknaman hill in the foothills of the Slieve Bloom mountains. OS: N 203 027 (map 54). 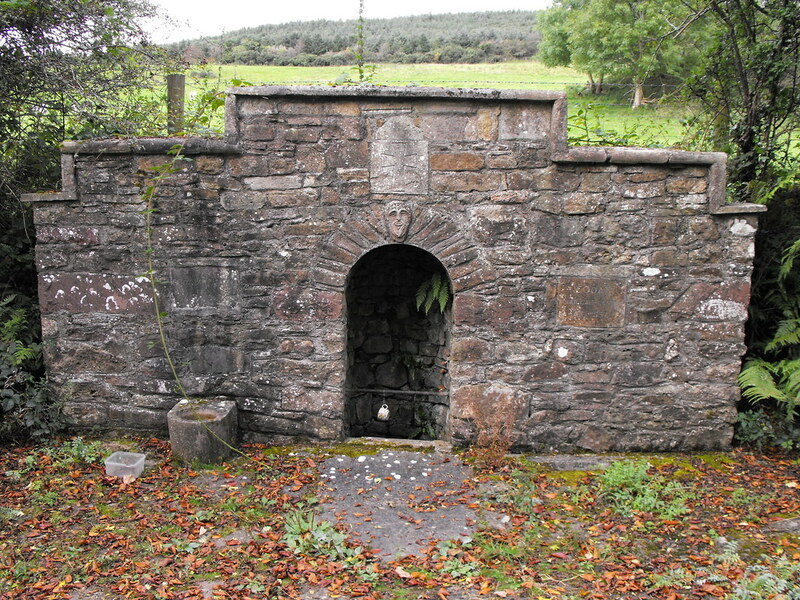 Description and History – This is a lovely Holy Well in a great location in heavily forested land. The close proximity of a barrow about half a mile away at Forelacka indicates that this was an important area in ancient times as Holy Wells often predate Christianity. The canopy that surrounds it now is modern but fits the natural spring. 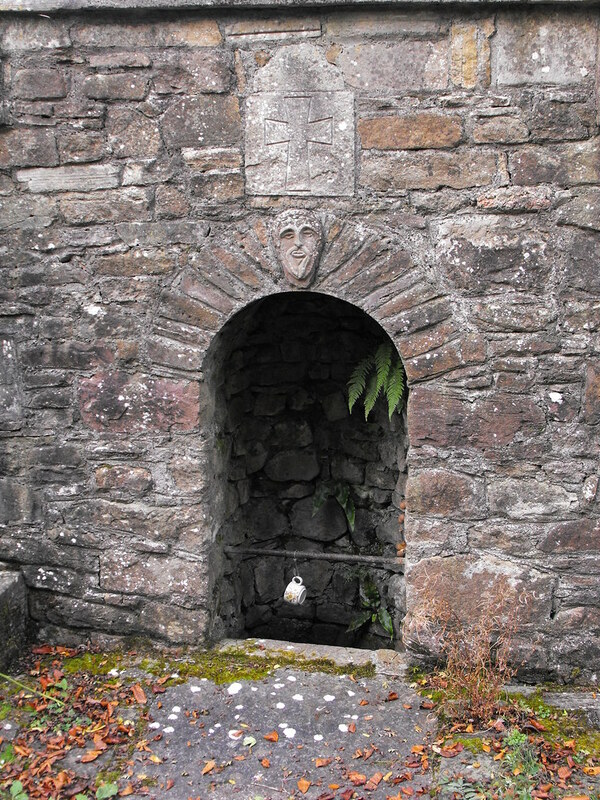 As is common with Holy Wells the face of saint is represented above the well. 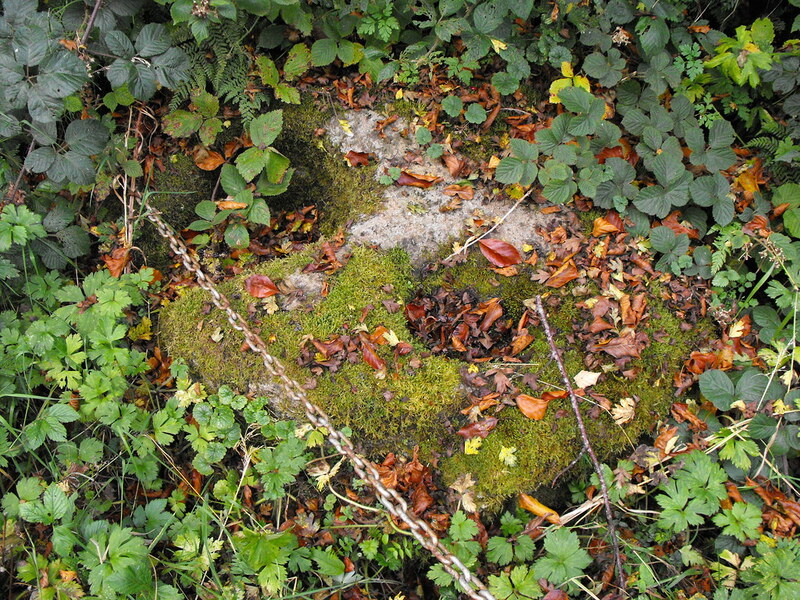 A large bullaun stone sits to the left of the well in the undergrowth and was found in a field nearby. 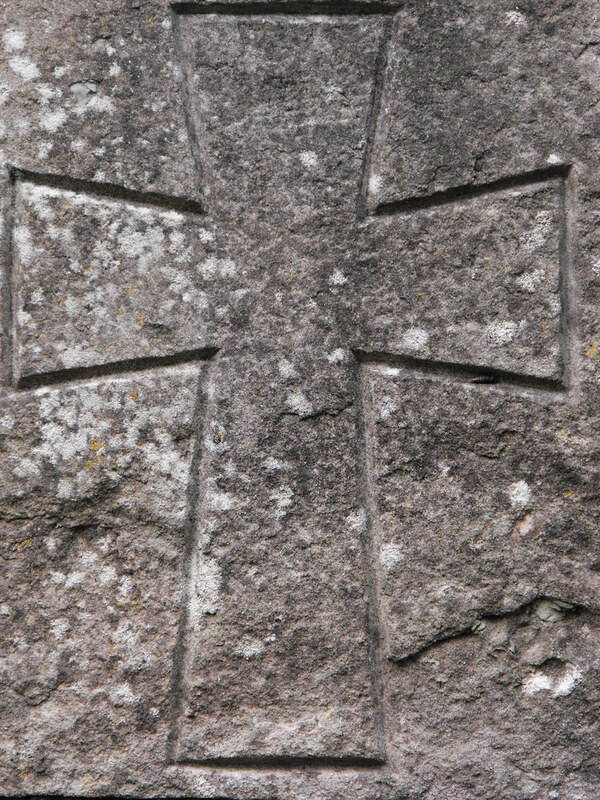 The stone has two large depressions in it and may be associated with the well. Difficulty – No walking through muddy fields is necessary here as it is located on the side of the road. The only problem is finding it as it is tucked away in the hills.